Sorry i have been missing again but all for good reason...not sure if i told you before i was having a new craft area built in my craftroom and things are taking a little longer then originally planned but *fingers crossed* it wont be take much longer to finish!! Anyhoo like i say i got some cards made at our "Crafty get together", in fact i made 4 cards in total and they were made using Clearly Besotted "Say It In Style", "Fancy Florals" stamp and die sets, 2 x A4 white card, 1 x A5 pink card and 1 x A5 white card for cutting 3 sets of flowers and leaves, then added ink and gems to them. Such a gorgeous card Gemma. 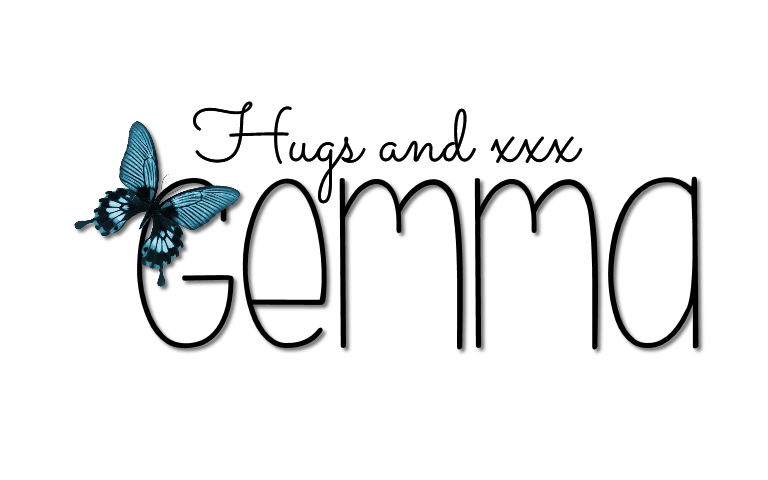 I love the design and the colours are wonderful. Your Crafty Get Together sounds like great fun! Why do I never think to emboss coloured card, instead of always using white? Great card, love the colour and the flowers. This is gorgeous Gemma, I love the bright pink. A new craft area - that sounds exciting. Oooh, I love all this bright pink! Love the aperture too! So cute! Love the pink! Thanks for playing with us at CAS on Sunday! Your creation is very elegant Gemma and great colours, just perfect for our Dies and Punches theme, thanks so much for sharing your creativity with us at Stamping Sensations challenge. So lovely! 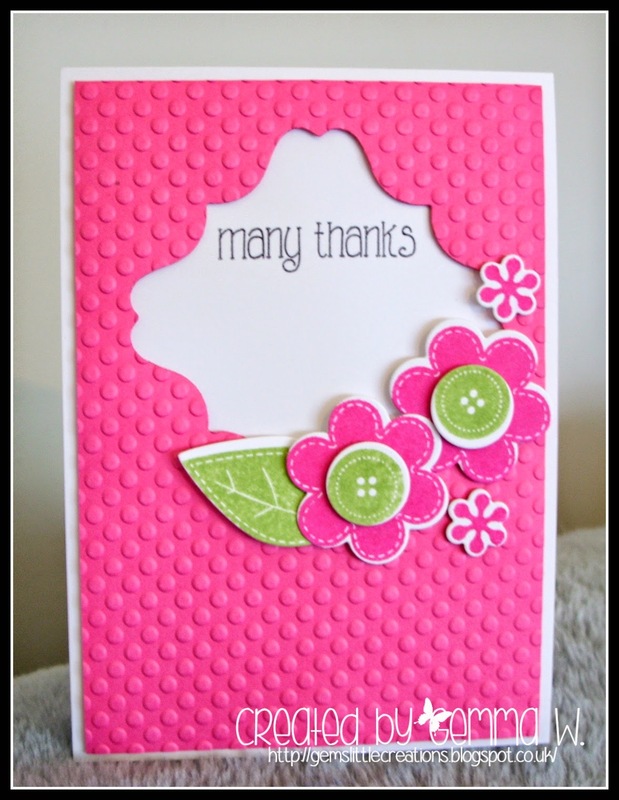 Thank you so much for sharing your wonderful card with us at Stamping Sensation.